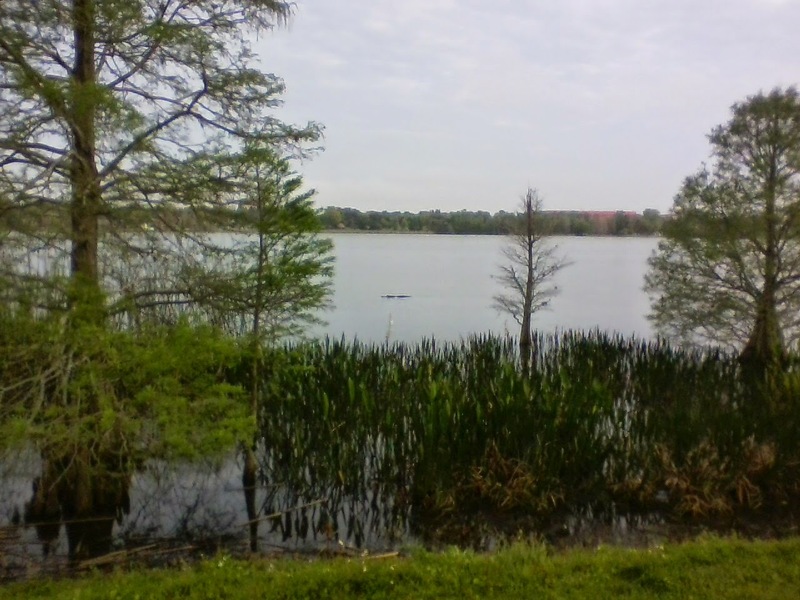 See the 'gator? We were out for a walk in downtown Lakeland, FL, and spotted this big guy with nary a fence between us and him. Gives me chills. And people think Africa is wild! One of the highlights of traveling is seeing old friends! We were delighted to get time with the Burts in Valdosta, GA. The kids especially liked their golf cart. Paul's known them for more than 30 years. 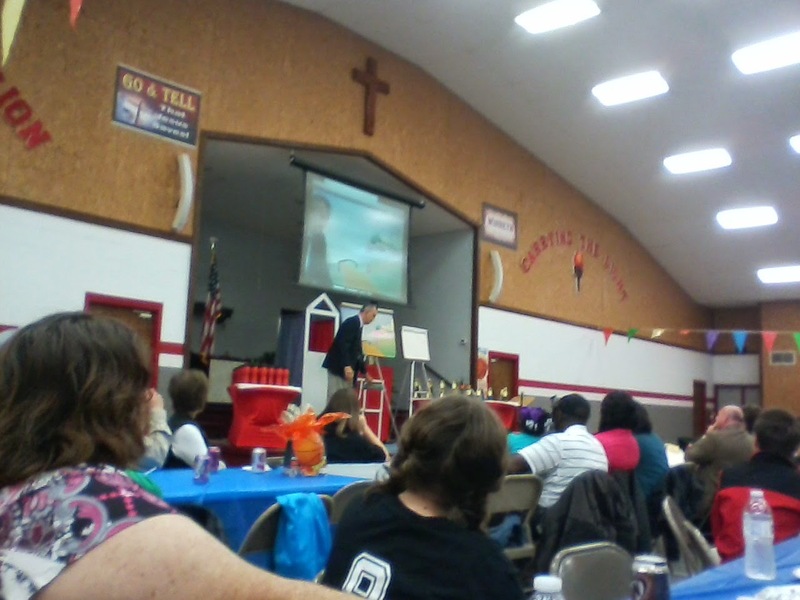 Paul preached at a sports' banquet for young basketball players in Valdosta. How Southeners, including Paul, feel about grits. 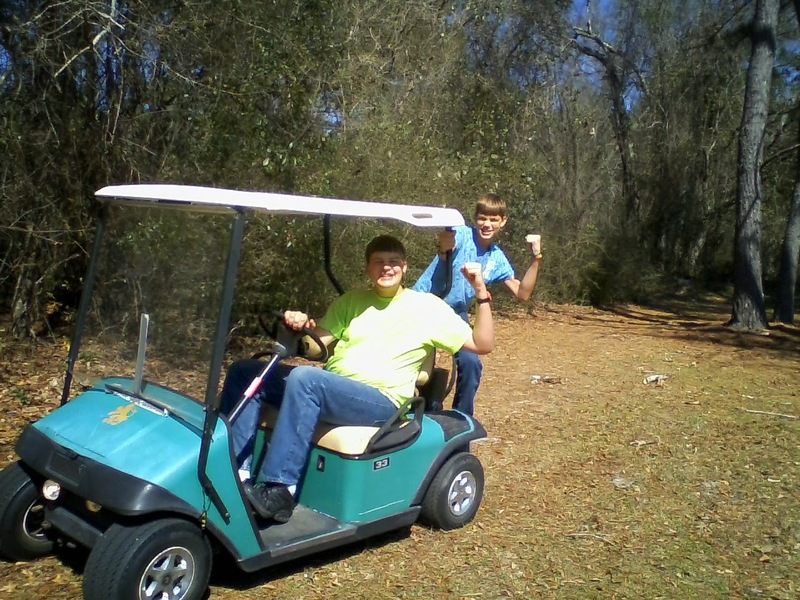 The Burts' golf cart the boys got to drive. 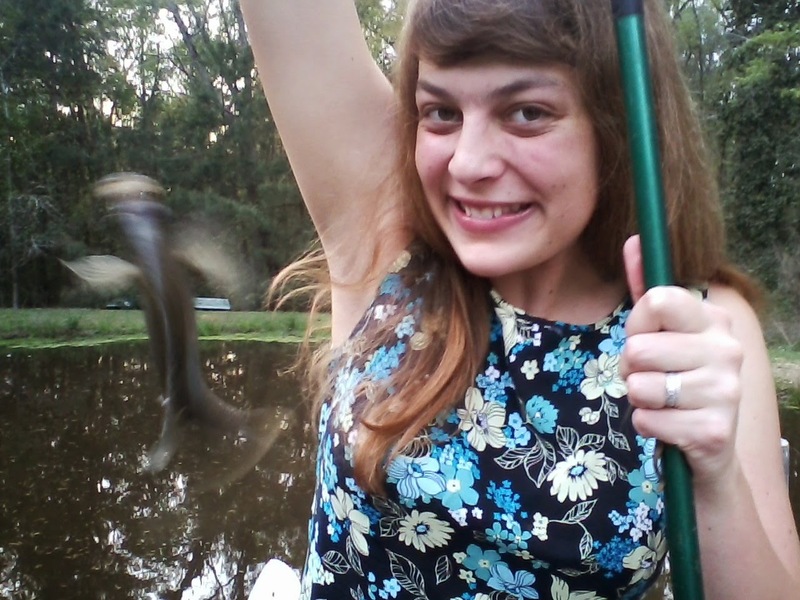 By the way, all these pictures are taken from a Tracfone, so the quality is a little different from my deceased camera. Tim artfully dodges a family photo op as he has a nosebleed in Cedar Keys, Florida, a beautiful place I'd never heard of before. 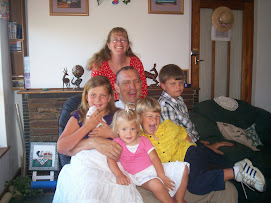 It's hard to remember my family is still buried in snow in Maine. Pastor and Mrs. Bill Keith took us to a memorable lunch, with some delicious seafood. The Gulf of Mexico is calmer then the Atlantic Ocean. The next island in the keys is only accessible by boat. The restaurant we went to was on a key connected by bridges and causeways to the mainland. 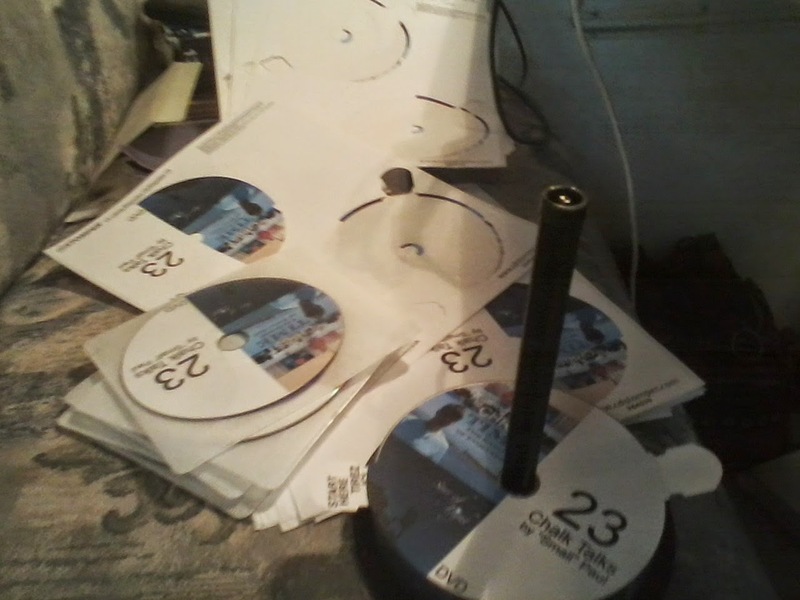 Evangel designed a new DVD cover, and we spend a lot of time printing them and sticking them on the DVD's so we can give them out at churches. They hold 23 of Paul's chalk drawings, Timothy's video Time is Not the Friend of Evolution, and Evangel's movie Star of Light. Near Whigham, GA, we got a whole day with no driving, and 2 nights in this rustic cabin beside a pond. The boys got in a bunch of target practice. 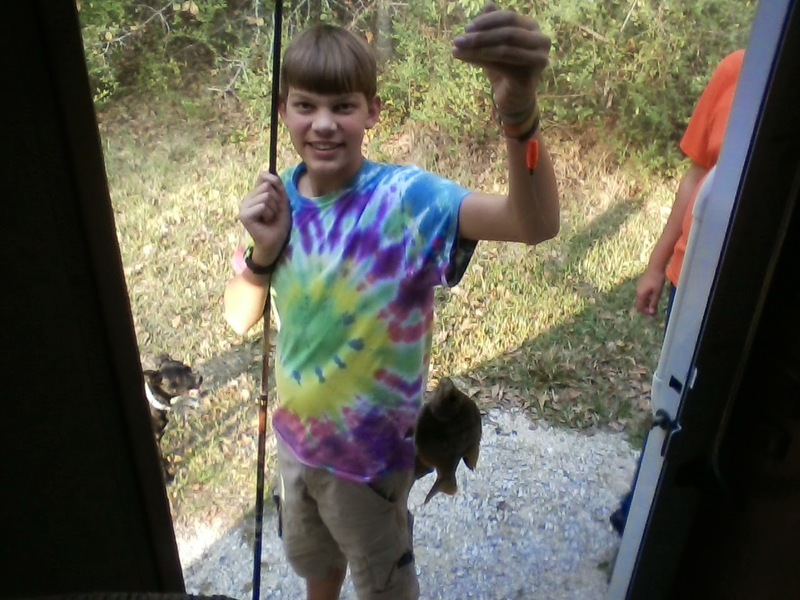 And Josh was pulling in the brim faster then we could eat 'em. Evangel caught one friendly fellow who's waving at you. 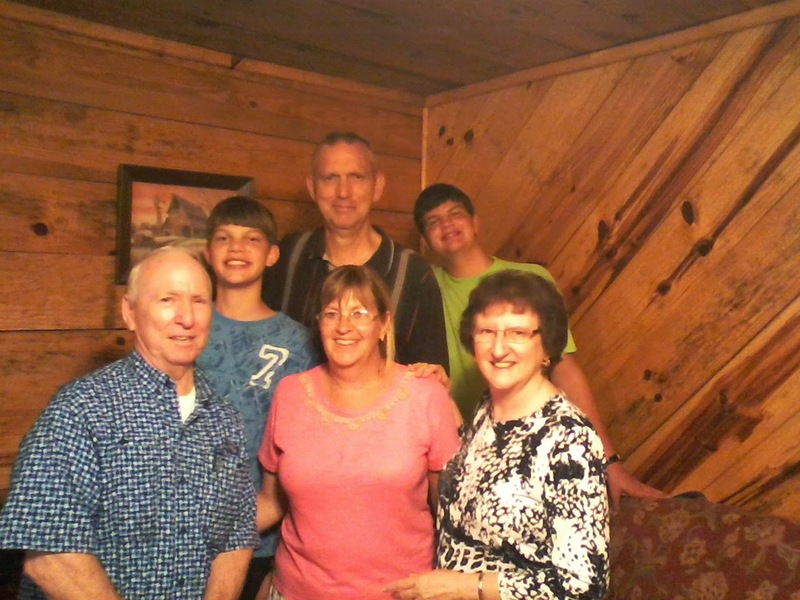 John and Diane Glover came out to visit us in the cabin. We hadn't seen them since we were newlyweds, over 20 years ago, and the fellowship was wonderful. I love this picture. 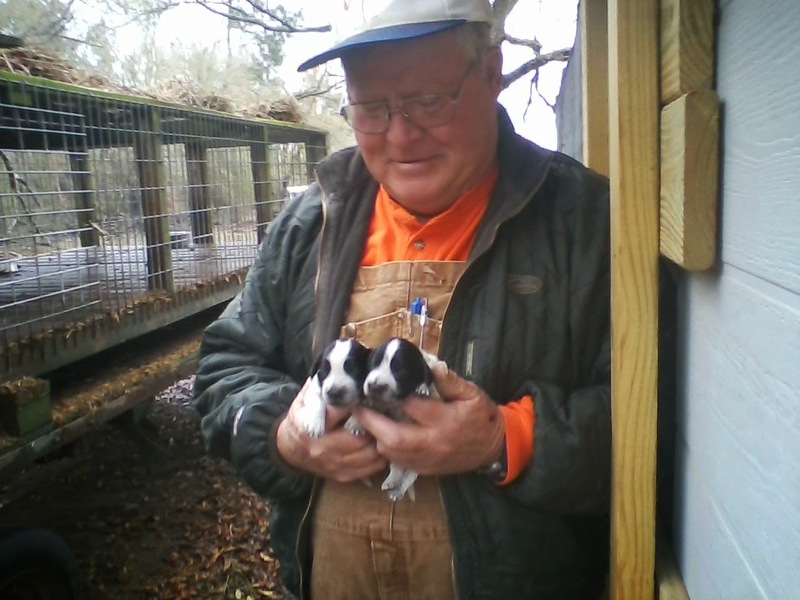 This man Mr. Calvin trains bird dogs, and he told us, "I love what I do. I know as sure as any preacher that this is what God called me to do." Dog training is just part of his job. 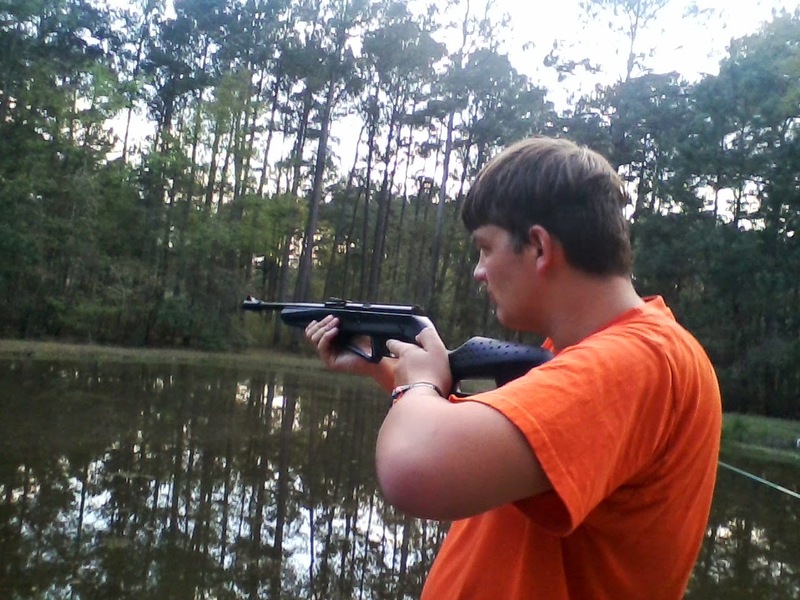 He manages a 2500 acre quail hunting plantation. As he talked about how he can see the Lord's greatness in the beauty of a bird dog hunting, and the way it points, it reminded me of Eric Liddle, the Olympic runner of Chariots of Fire fame, saying he felt God's pleasure in his running. We are so privileged in the people we meet, and I'm so, so thankful our kids get to meet them too. It's wonderful to be part of God's family.